Head to Amazon.com where today only you can score select Biographies and Memoirs on Kindle for just $3.99 or less each! 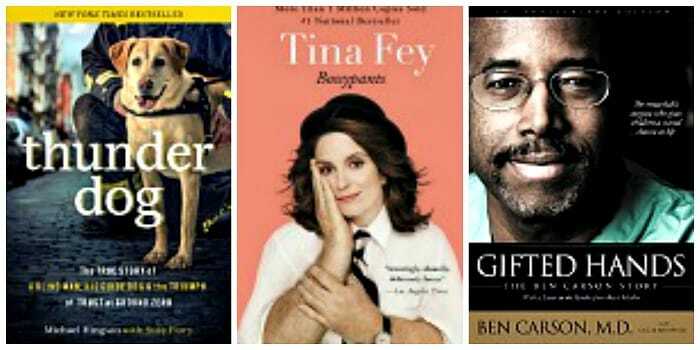 There are lots of highly books to choose from including Bossypants by Tina Fey, Gifted Hands 20th Anniversary Edition: The Ben Carson Story by Ben Carson M.D., Thunder Dog: The True Story of a Blind Man, His Guide Dog, and the Triumph of Trust by Michael Hingson, Susy Flory and Larry King and more. This Amazon deal of the day is valid February 18, 2018 only and while supplies last.